LSGTPA tractor pulling teams will be preparing for the next event, scheduled for June 27 at Wills Point, Texas. 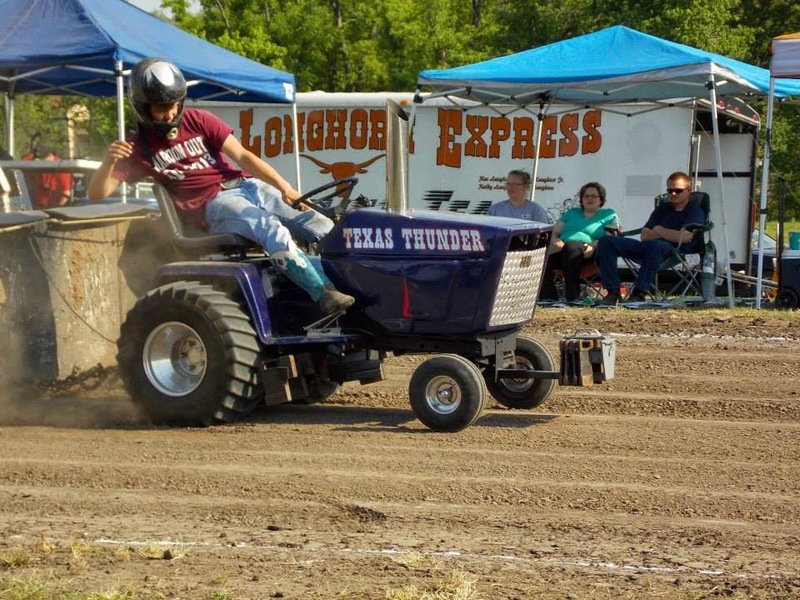 Competing teams from across the state, will be converging on the Lake Tawakoni area, for two rounds of tractor pulling action. The track is located behind the Rolling Oaks Volunteer Fire Department facility. The event is scheduled for an 11:00 AM start time. 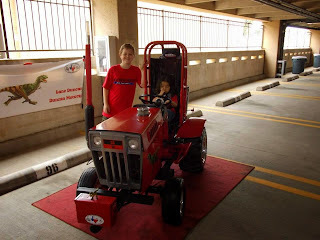 As with all LSGTPA events, tractors are on display an hour before the event start time, in the pit area. Come witness the teams compete for the title and LSGTPA Championship points ! 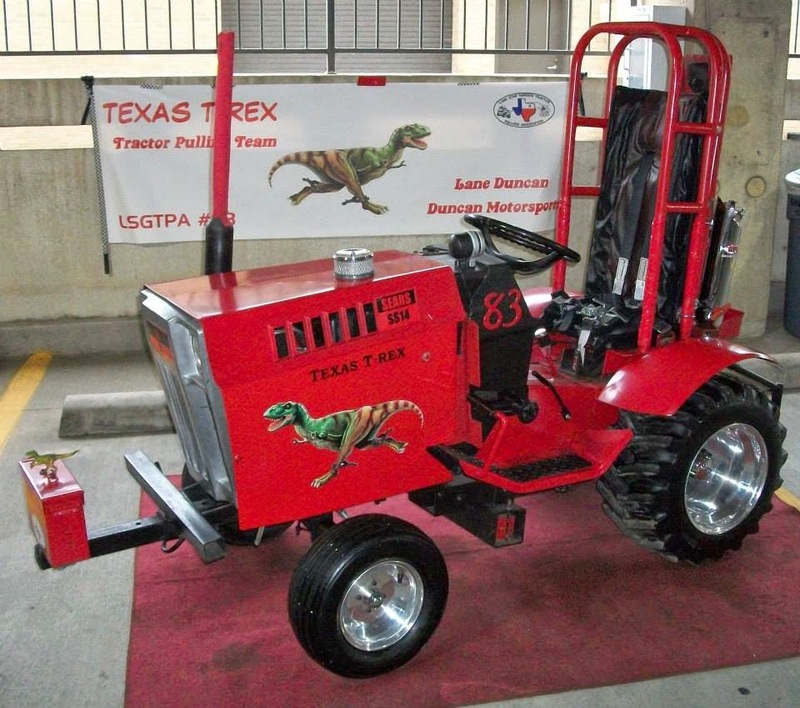 The Texas T-Rex Pulling Team was onhand with the LSGTPA booth, during the TSRHC Farm and Ranch Day 2015. 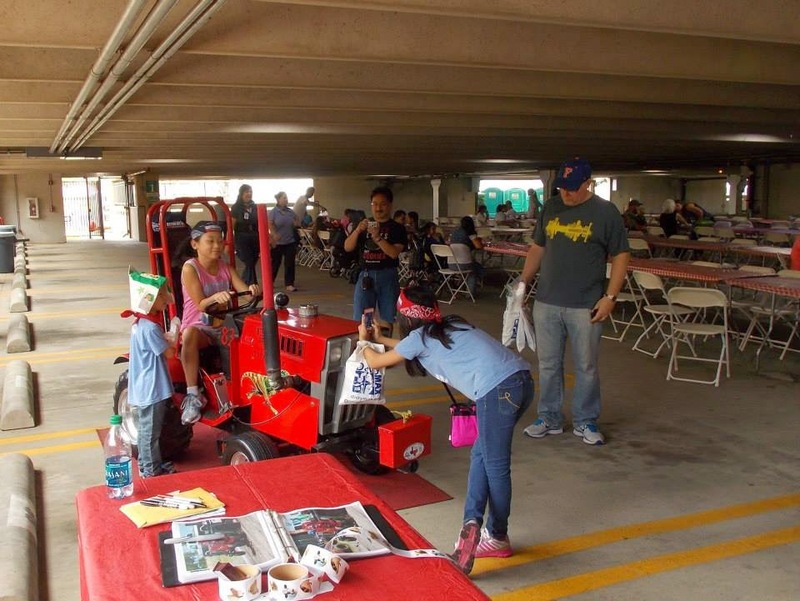 The annual event provides children the opportunity to enjoy agriculture themed activities, at the Texas Scottish Rite Hospital For Children campus in downtown Dallas. 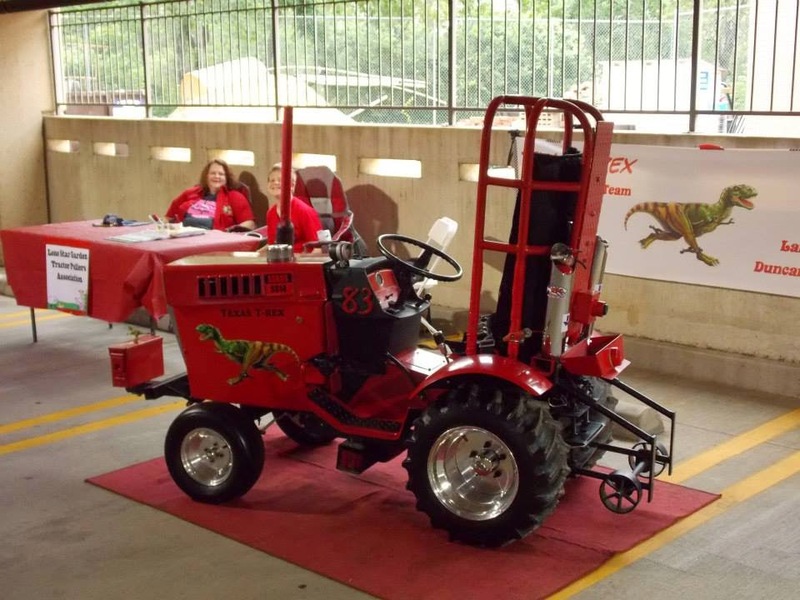 The 'Texas T-Rex' team allowed the children to climb aboard the machine, and learn a little about driving an LSGTPA pulling tractor. 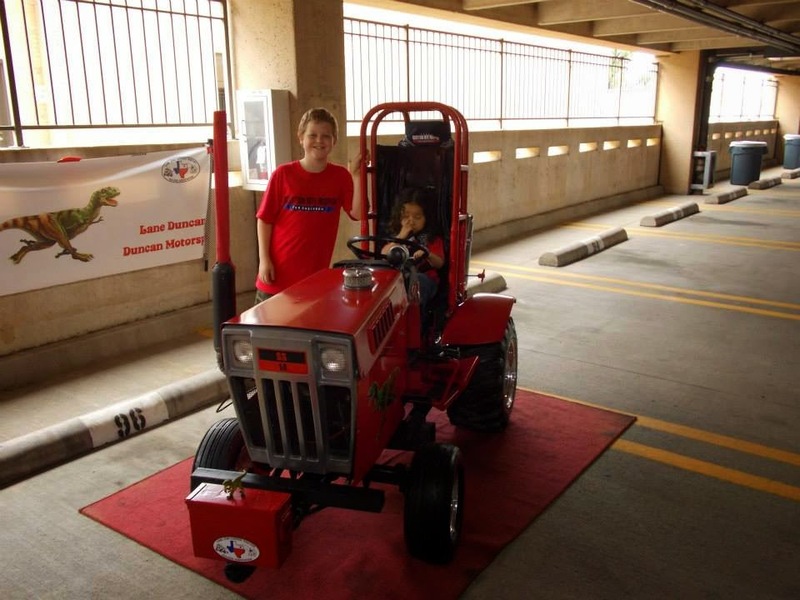 The crew had a great time during the day, visiting with the children and talking tractor pulling ! Beautiful weather greeted the LSGTPA pulling teams, as they rolled into Bonham, Texas for the Bonham Heritage Days Festival Tractor Pull. 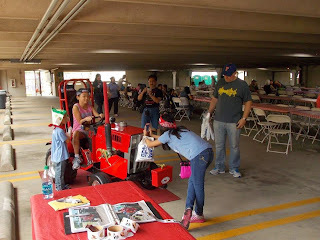 The event was held at the Powder Creek Park pulling track, located between the historic Bonham Texas & Pacific Depot and the site of the 1880's era, Texas & Pacific Railroad Roundhouse. The scenic venue featured a hard packed track, providing for a great surface for an exciting afternoon of tractor pulling action. Arlen Foulks of Racers For Christ delivered the invocation, with Grace Johnson performing the National Anthem during opening ceremonies. The Youth Class competitors took to the track first, to open the show in front of a great crowd. 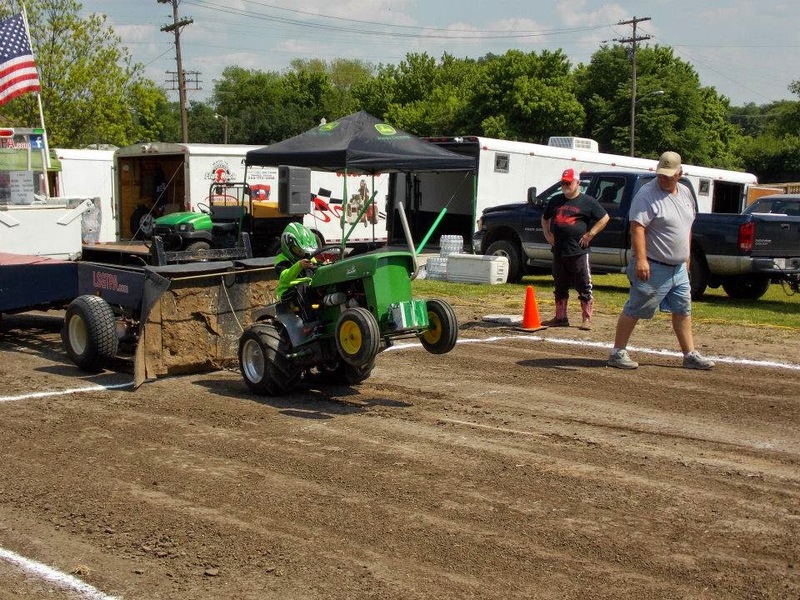 Jared Stephan wheeled the 'Yes Deere' tractor to the first place position, with Kody Langham taking second. 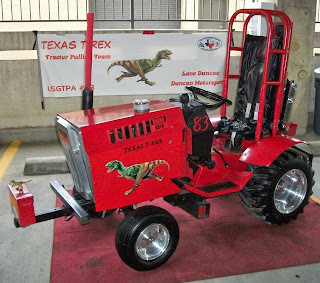 Lane Duncan piloted his 'Texas T-Rex' tractor to a podium finish at third, with Jared Stephan returning aboard the 'Iron Head' machine to place fourth. In Stock Class, Claude Lewis took the win, with Jimmy and James Helfferich taking second and third. 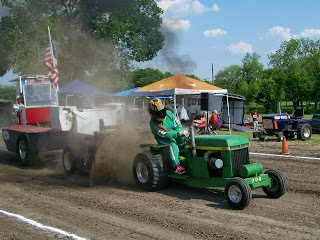 The Hot Stock Class was paced by Aidan Hovind aboard 'Yes Deere', followed by John Aufdenkamp on the 'Rusteze' tractor. Steve McCarley pulled to a third place finish, with Kolby Langham taking fourth to round out the field. Stock Diesel was won by local favorite, Ken Langham, Jr., aboard the Bonham Service Center tractor. In Big Stock, John Aufdenkamp took the class title. 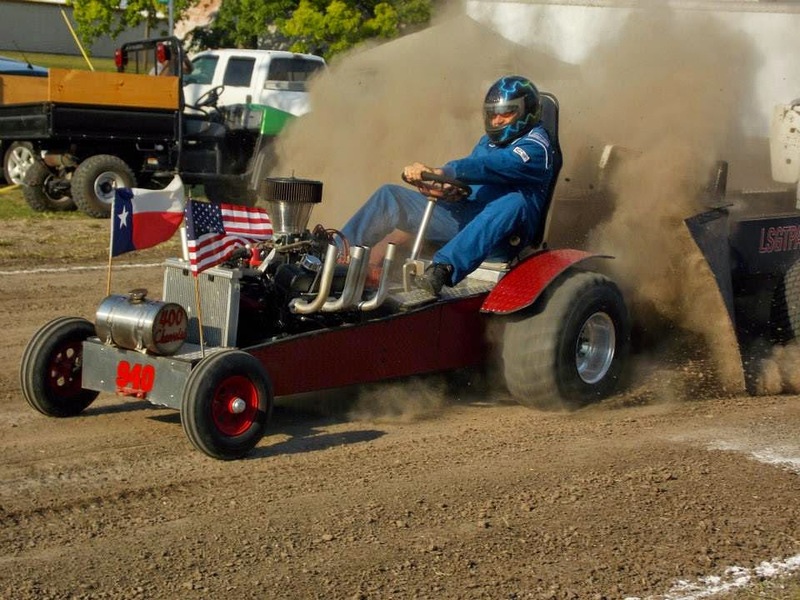 Jerry Toland finshed second aboard 'Triple Deuce', while Kolby Langham placed the 'Texas Thunder' tractor in third. 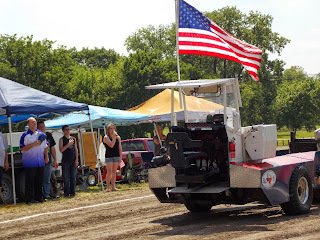 John Aufdenkamp placed the Outlaw Pulling Team tractor atop the Stock Altered Class with the win, recording two Full Pulls on the 200 foot track. In the Motorcycle Class, Paul Smith wheeled his 'Texan' machine to the victory. Smith would return to enter and win the Outlaw Class, scoring a Full Pull in each class to double up on the day. 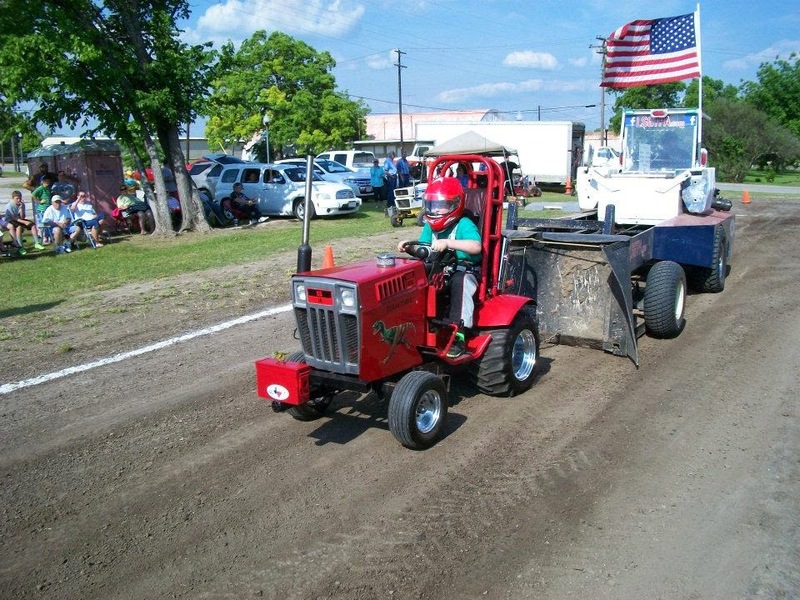 The Mini Rod Class tractors put on a great show, with Jerry Toland taking the win aboard 'Shinin Time'. Sarah Crowe used a Full Pull aboard her turbocharged diesel entry, to secure the runnerup spot. Colby Crowe placed the 'Weekend Warrior' tractor in the third place position, with Howard Houchen recording a fourth place finish aboard 'Back In The Day'. The Super Rod Class tractors closed the show, with Ken Langham taking the title aboard the Bonham Service Center tractor. Randell Moody pulled the 'Ridge Runner' to the runnerup spot, with John Kiemele taking the third place podium finish aboard 'Dodge This'. Rain showers seem synonymus with the Hunt County Fair in Greenville, and the 2015 shows and showers were no exception. The area needed the rain, so the LSGTPA pulling teams were happy to accommodate mother nature with the opening weekend postponement. 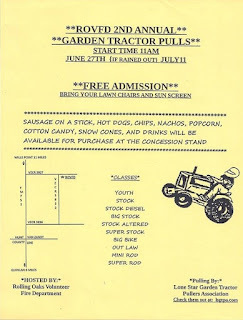 The pulling event was moved to the closing weekend of the fair, and the pullers were awarded an awesome evening for pulling, and a great pulling surface upon which to compete. Arlen Foulks of Racers For Christ was on hand to deliver the invocation, and following the National Anthem, the Youth Class competitors took to the track. Kody Langham pulled out the victory for the Bonham Service Center team, with Jared Stephan pulling double duty to score the runner up and third place finishes. Stephan placed the 'Yes Deere' tractor in second, and piloted his 'Iron Head' entry to third. In Stock, Claude Lewis topped the field, with Jimmy and James Helfferich placing second and third. 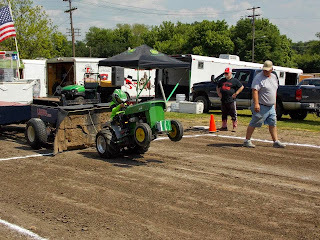 In the new Hot Stock Class, Aidan Hovind scored the victory aboard 'Yes Deere' for the Mean Green Pulling Team. Kolby Langham used a Full Pull, to place his Bonham Service Center machine in the runnerup position. 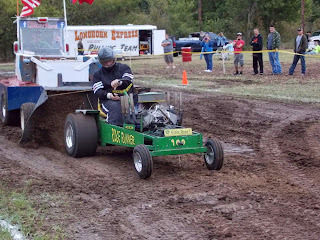 John Aufdenkamp place third, abord his Outlaw Pulling Team tractor. Stock Diesel saw Ken Langham, Jr. taking the win, using two Full Pulls to take the title. In Big Stock, Shawn Aufdenkamp scored the victory for the Outlaw Pulling Team, with Jerry Toland placing his 'Triple Deuce' entry in the runnerup spot. 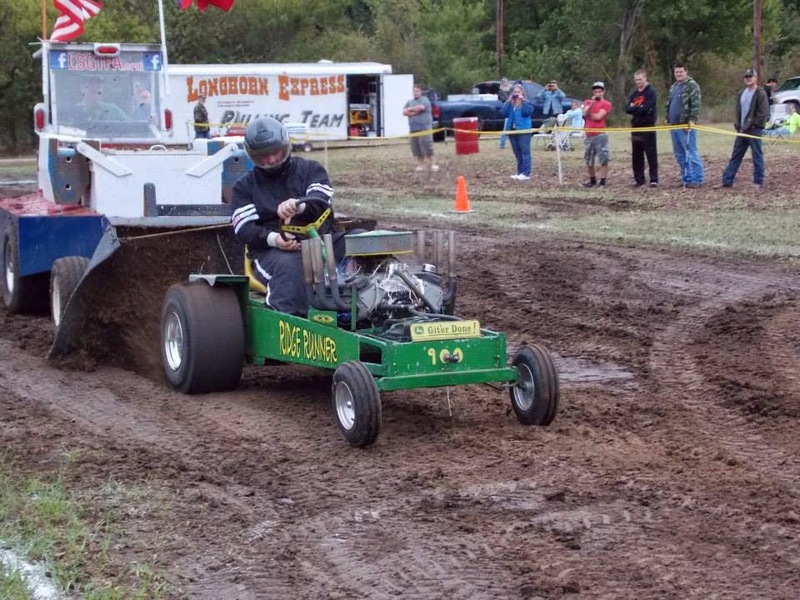 Kolby Langham placed third, aboard his 'Texas Thunder' tractor. Stock Altered was taken by John Aufdenkamp, using two nice pulls to secure the top spot. Paul Smith aboard his 'Texan' tractor, scored the victory in the Motorcycle Class. Smith returned to double up with the 'Texan', taking the top spot in the Outlaw Class. 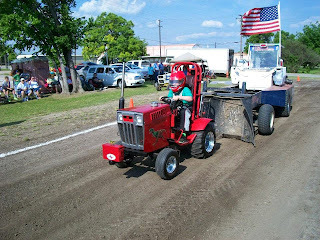 The Mini Rod Class provided fans with a great show, with Jerry Toland emerging the victor aboard his 'Shinin Time' tractor. Howard Houchen finished second, aboard the 'Back In The Day' machine. Colby Crowe placed the 'Weekend Warrior' tractor on the podium in third, with Sarah Crowe placing her turbocharged diesel entry in fourth on the night. 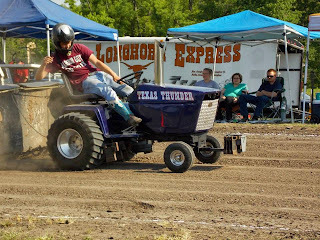 The Super Rod Class tractors closed the show, with Ken Langham taking the win for the Longhorn Pulling Team. John Kiemele scored the runnerup aboard his 'Dodge This' tractor, with Randell Moody securing a podium finish in third aboard his 'Ridge Runner' machine. 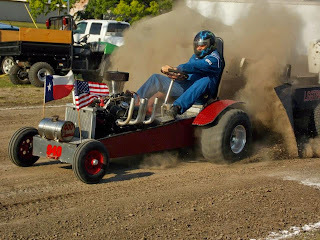 Make sure to checkout www.lsgtpa.com for an LSGTPA pulling event near you !